Anniversaries are generally a time of reflection, recognition and celebration of growth. However, Charleston Waterkeeper is choosing to observe their one-year anniversary a bit differently. Charleston Waterkeeper has launched their Water the Future (WTF) campaign: an invitation to every citizen of the tri-county area to celebrate the importance of our waterways while standing together to see that they are protected. Tri-county residents can get involved by sending photographs that highlight the good, bad, and ugly of our local waterways. Additionally, individuals, businesses and organizations are encouraged to join Charleston Waterkeeper by becoming a member. The goal of the WTF campaign is to inspire activism, promote community involvement and empower the individual to make a change while raising awareness about the true state of Charleston’s waterways. Using sustainable and creative marketing practices, the WTF message will be spread throughout the City. Using light projectors, pressure washing techniques, viral videos and social networking sites, Charleston Waterkeeper hopes to reach the thousands of individuals in our great community who otherwise might not be aware of the issues degrading the quality of our waterways. The campaign will remind people of the three ways in which they can get involved. The WTF campaign will conclude with the official Charleston Waterkeeper launch party on Friday, October 23, 2009. 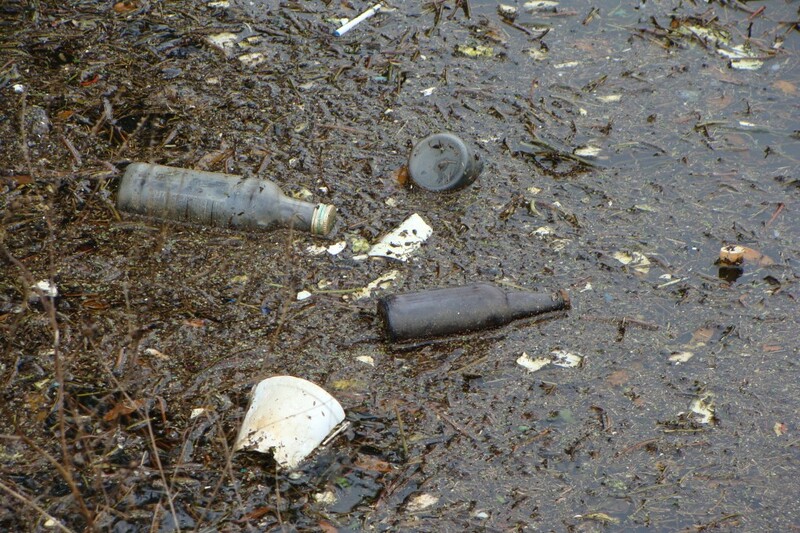 If you have a photograph that displays the beauty, destruction, or pollution of our local waterways, send it to info@luckydognews.com with the term “WTF Campaign” in the subject line. Charleston Waterkeeper is a citizen-based, environmental organization committed to defending our waterways against pollution while protecting the public’s right to clean water. Part investigator, scientist, lawyer, educator and community organizer, Charleston Waterkeeper strives to improve the quality of Charleston’s waterways. Our waterways have been given to us in trust that we, the public, will watch over and protect these natural resources. By involving the community and empowering individual citizens, we will return our waterways back to the public and assure that our rights to clean water are honored. As a member of the Waterkeeper Alliance, Charleston Waterkeeper is one of nearly 200 Waterkeeper programs around the world dedicated to building strong communities and protecting clean water. For more information, please visit www.charlestonwaterkeeper.org.